Aylsham Show 2010 "Introducing the Bible"
places marked. 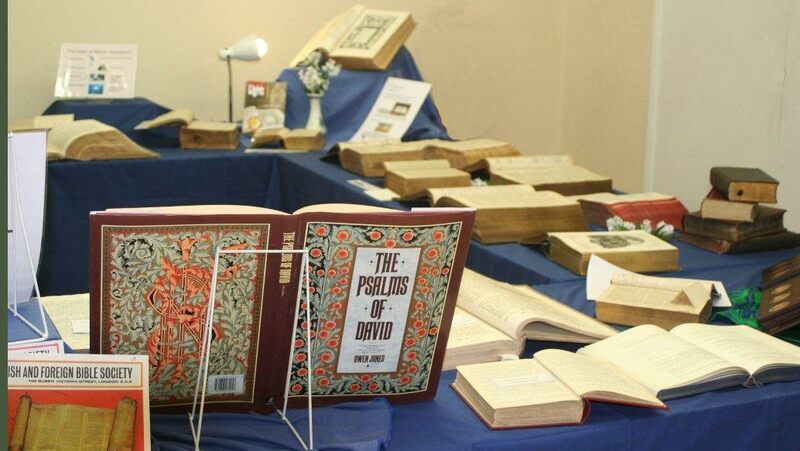 The low table and chairs were used by children eager to colour in picture books of Bible stories. 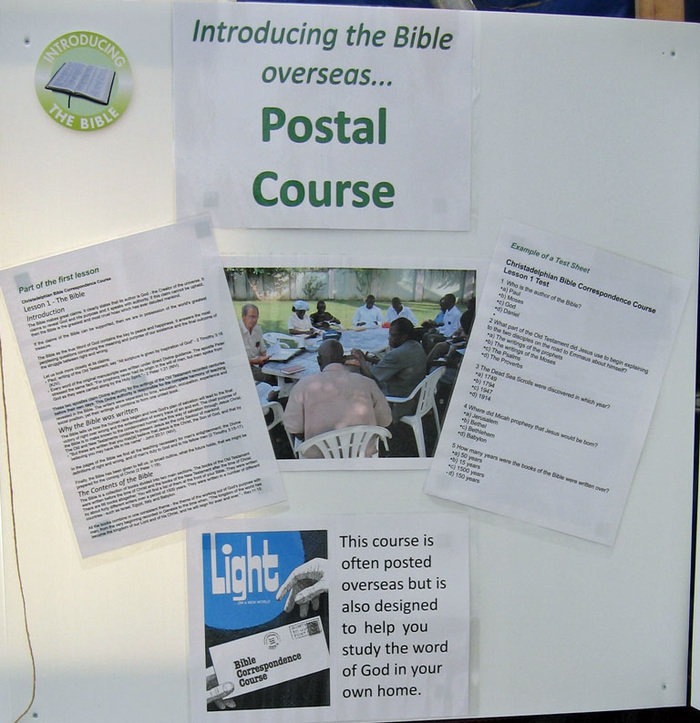 showed some of the ways we try to introduce the Bible to people, through Seminars, Talks, Bible Light Publications, and Correspondence Course. 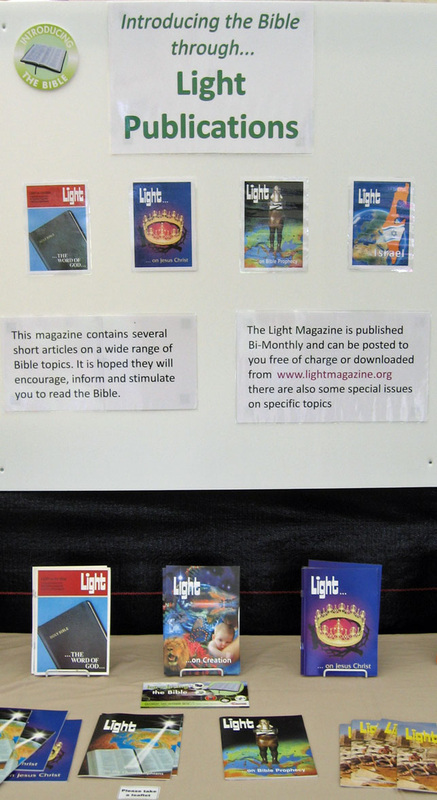 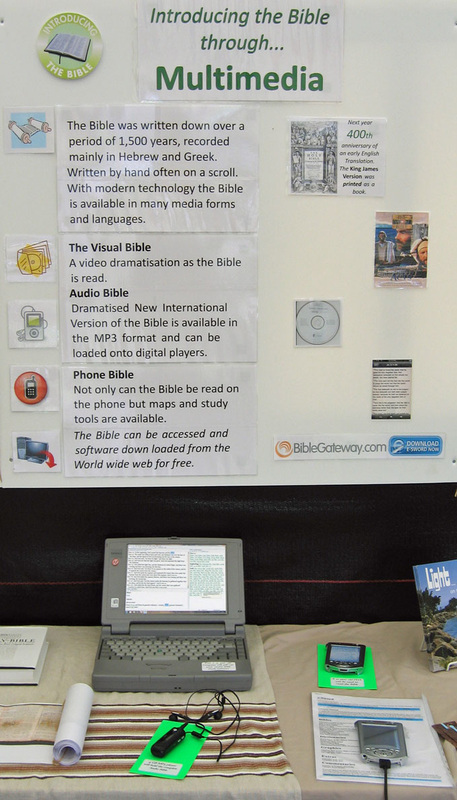 We had a display to show how accessible the Bible is today through computers, MP3 players, and the internet. 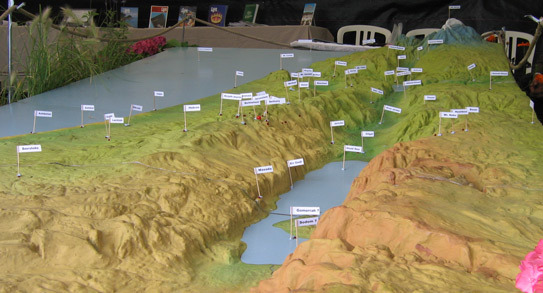 The large relief map of Israel was also a reminder that the Bible is historical and is confirmed by many archaeological discoveries. 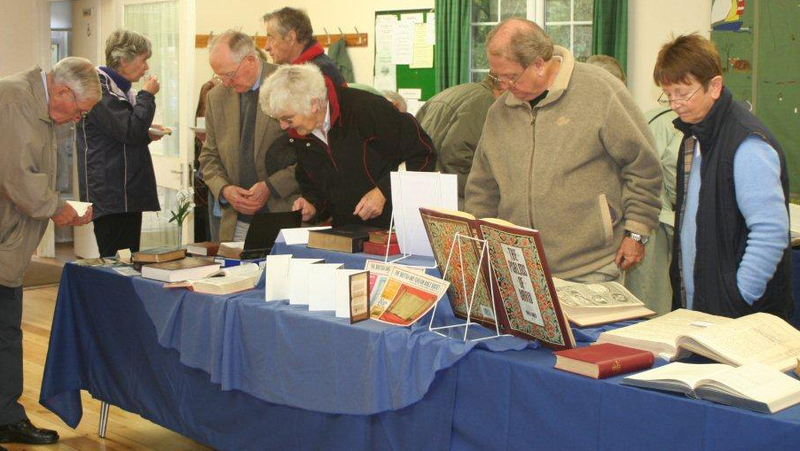 Bramerton Village Hall 2011 "Historic Bibles"
Taking advantage of the 400th anniversary of the production of the King James Version of the Bible, we held an exhibition of Historic Bibles, on a Saturday in October, at the Bramerton Village Hall from 10.00 to 17.00. 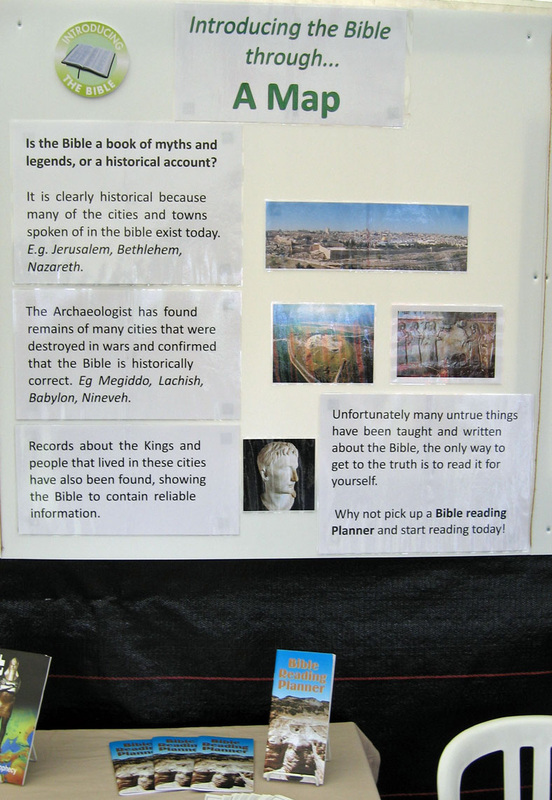 There was a large collection of Bibles, including some very rare ones, facsimiles and posters and a DVD video clip from The Indestructible Book. 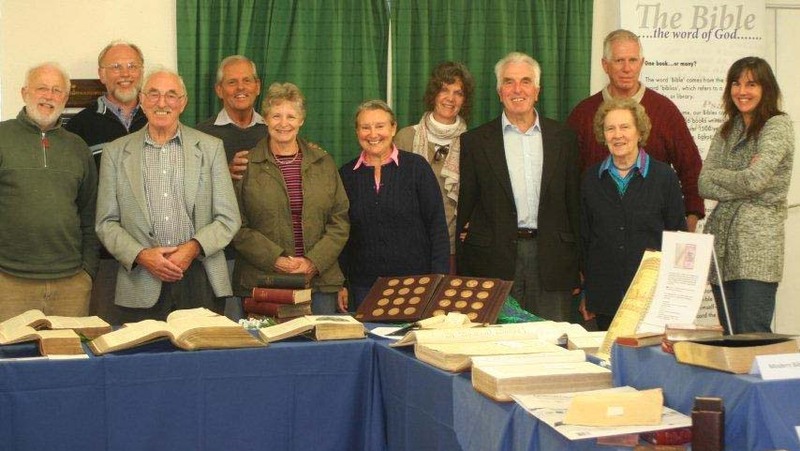 The oldest exhibit was of the 16C Breeches Bible. To our delight, we had many visitors from surrounding villages and nearly all stayed for some time perusing carefully the exhibits and enjoying drinks and biscuits. 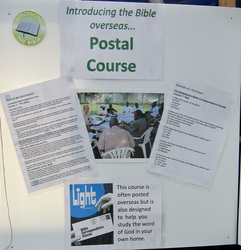 There were many appreciative comments. 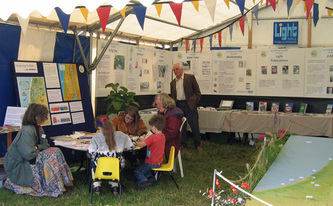 The photos show some of our team about to dismantle the exhibition, some of the visitors, and areas of the display. 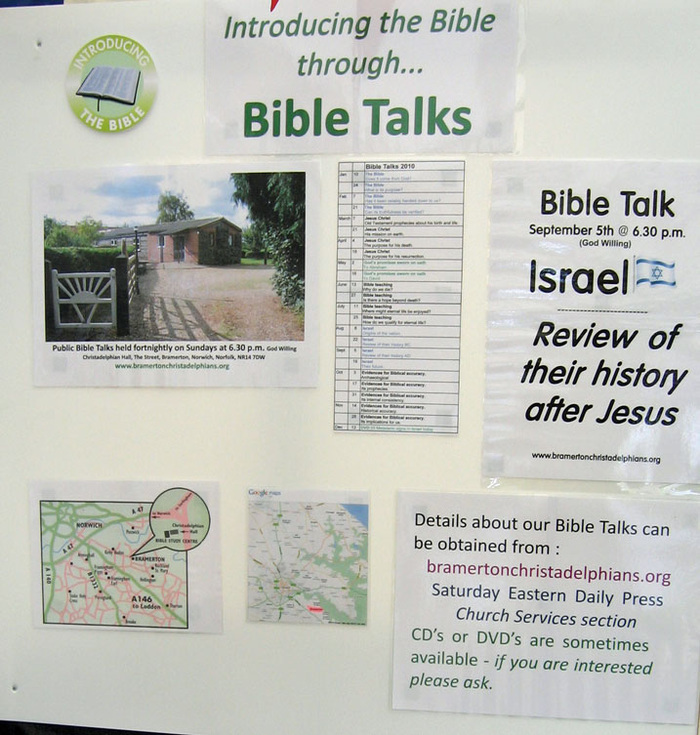 In 2018 we are planning to have a Historic Bible Exhibition at the Norfolk Heritage Centre in the Forum Library Norwich. 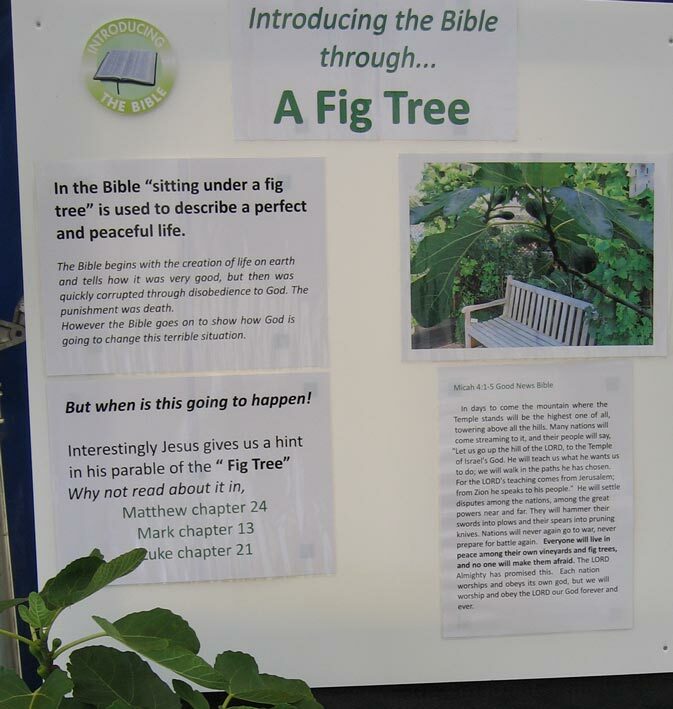 A Bible exhibition built to celebrate the start of the third millennium. 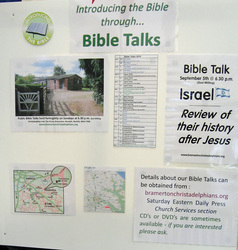 Shown in cities around the UK. 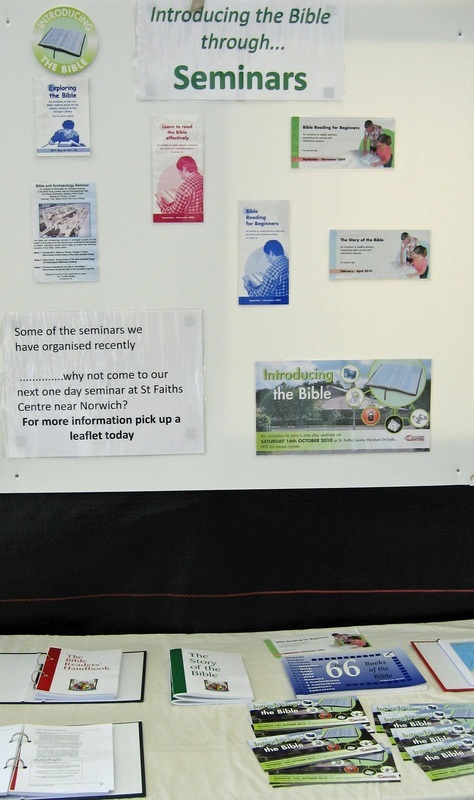 In the past we have displayed it at the “Forum” in the Norwich Library. It is based on Ecclesiastes chapter three, "There is a time for everything, and a season for every activity under heaven".